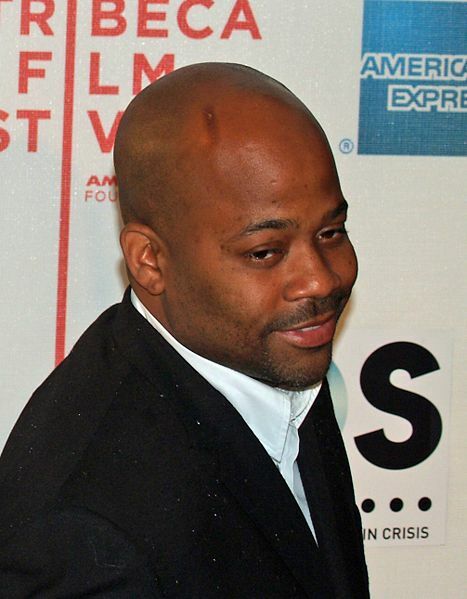 Black Card Holder Damon “Dame” Dash was born May 3, 1971 in Harlem, New York and is an African-American label executive; the former CEO and co-founder of Roc-A-Fella Records with Shawn “Jay-Z” Carter and Kareem “Biggs” Burke. Roc-A-Fella, specializing almost exclusively in hip-hop music, branched out with several spin-off ventures into other fields as well, notably hip-hop fashion (Rocawear Clothing) and film (Roc-A-Fella Films and, later, Dash Films). In late 2004, Dash sold his interest in Roc-A-Fella to parent company Island Def Jam Records for $10 million, and founded the Dame Dash Music Group as a new venture with the senior record company. The Tribeca Film Festival was founded by Robert DeNiro, Jane Rosenthal and Craig Hatkoff to celebrate New York City as a major filmmaking capital. Tribeca Cinemas, located at 54 Varick Street, was acquired by the Festival founders in 2003 and serves as a year-round venue for the Festival and its related activities. The 2005 Festival, presented by American Express, took place from April 19th to May 1st in various locations throughout lower Manhattan. The 2005 Festival featured special events, outdoor concerts and screenings, a street fair, and panel discussions with noted filmmakers. In June 2005, Dash was one of five finalists from the inaugural competition were flown to New York City where their works were screened at a VIP gathering at the Tribeca Film Center. Pennsylvania native Jon Lindgren was presented with the grand prize by author Tom Wolfe and entertainment entrepreneur Damon Dash for “Rachel’s Challenge,” a short film chronicling a behind-the-scenes battle of good vs. evil surrounding the Columbine high school shootings. Lindgren’s $50,000 pre-paid American Express card will be used to help fund his next film project. Macromedia Flash is the exclusive video format for the Amazon Theater/Tribeca Film Festival Short-Film Competition. In addition to being a Centurion cardholder, Robert DeNiro agreed to be featured in an advertisement for American Express, the founding sponsor for the Tribeca Film Festival.